catches those which cease to float. Brew at 80℃ for 2+ minutes. 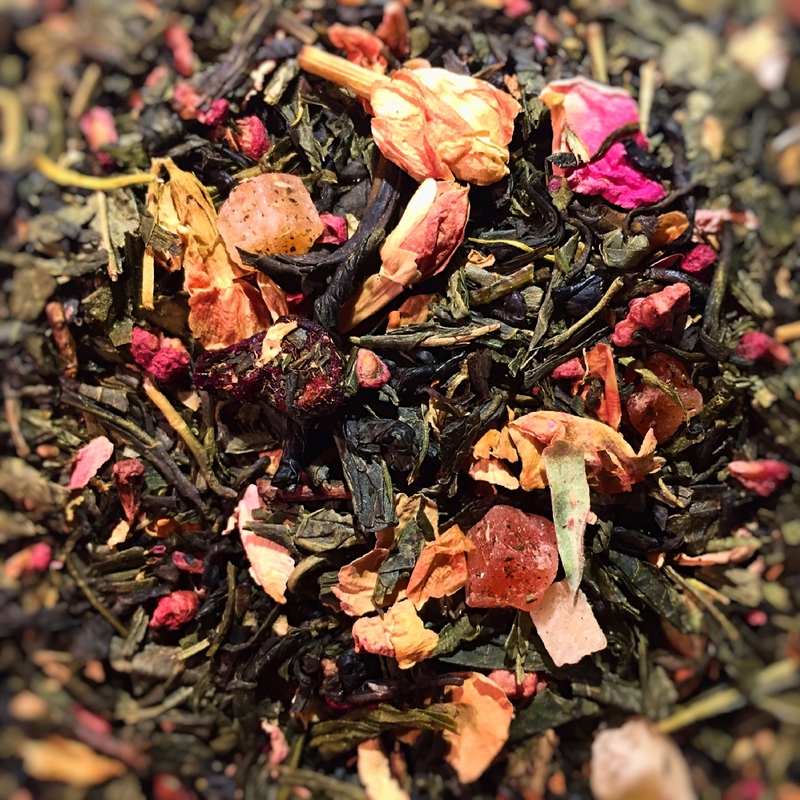 Ingredients: Chinese sencha, cherry, jasmine blossoms, rose petals, raspberry, papaya, flavour, pineapple.